YUHO is a global electronics and technology service provider making a real impact in over 20 countries such as the United States, China, Australia and many other countries in Europe, Southeast Asia, South Asia, the Middle East and Africa. Mr. Charanpeet Singh is CEO & MD of YUHO Mobile.He started his professional life with a French shipping company. This association lasted for 15 years. His next assignment was as a Project Director with an Indian software company for 3 years which was providing software to companies providing training for ship management. Then he decided to start his own business in the Telecom Products Distribution business in the year 2006. He was associated with Retailing & Distributorship of GSM mobile Phones such as Sony Ericsson, HP, O2 and CDMA mobile phones of Virgin Mobile. After that Rage Mobiles was launched by him in India in the year of 2008. 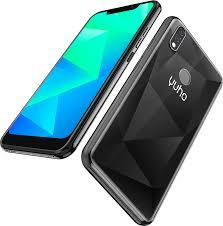 Yuho Mobile Phones are designed in China but Chanpreet Singh is personally involved in the design and development of the products which offer Indian consumers the best of quality at the most affordable prices and are backed by an extremely efficient and effective sales and service centre network. Chanpreet Singh has a very clear cut vision of what Yuho Mobile stands for “To be a leading mobile technology brand in India and beyond” enabling common man to use smart technology by making use of smarter design and manufacturing prowess.